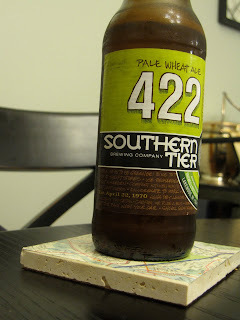 Last year, I bought some coasters from a vendor at Eastern Market. She made the coasters out of tile and vintage Washington, D.C. postcards. They are so sturdy & beautiful - I love using them in our family room. I thought it would be fun to make something similar, but using maps! 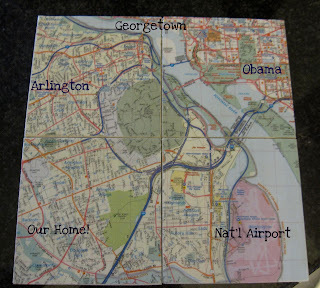 I picked up this D.C. map while I was out running errands. When I got home, I found my husband's stash of maps in his desk - SCORE! 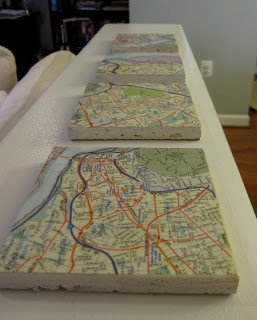 I would love to get my hands on some vintage maps for future coasters! First, I chose the section of the map that I wanted to cover the coasters. I wanted the four coasters to fit together, like a puzzle. Make sense?! 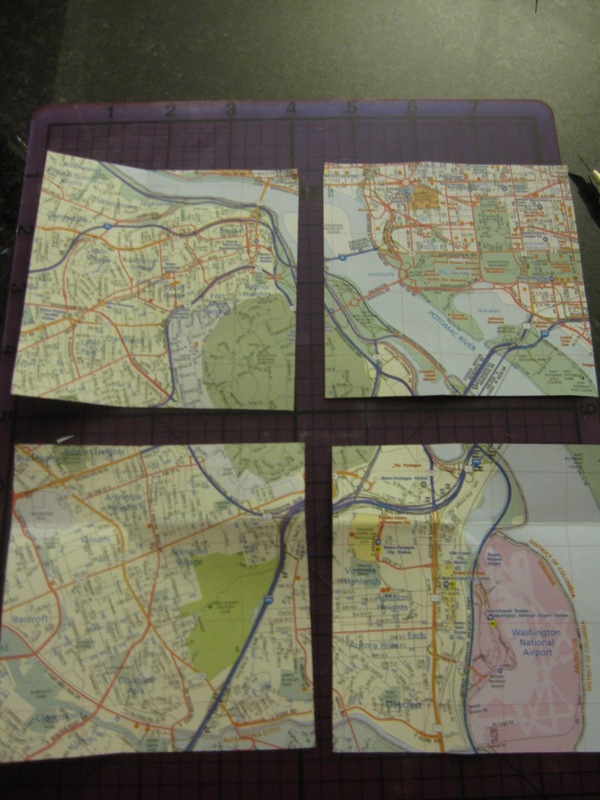 I laid out my four coasters in a square and traced (with a pencil) the outline of my square & I cut that out. 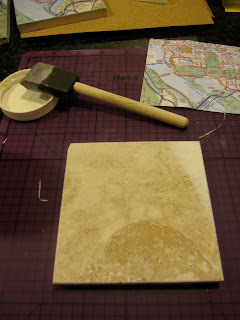 Then, still using the coasters, I traced each square & started to cut them out individually. *thinner coats work better - don't goop it on! *go slowly & have patience! *once dry, you can use sandpaper to sand imperfections around the edges! Let them dry in between coats...I did a total of 5! After they dried, I attached 4x4 pieces of cork to the bottom of the coasters, using the adhesive spray. You can also use felt, but I like the look of cork better. And finally, I sprayed a craft gloss finish on the top of the coasters to make sure everything was sealed! since the picture isn't clear enough! Oh and one more thing! If you haven't entered our most recent giveaway, do so NOW! Ha!! My post tomorrow is about photo coasters just like these!!! 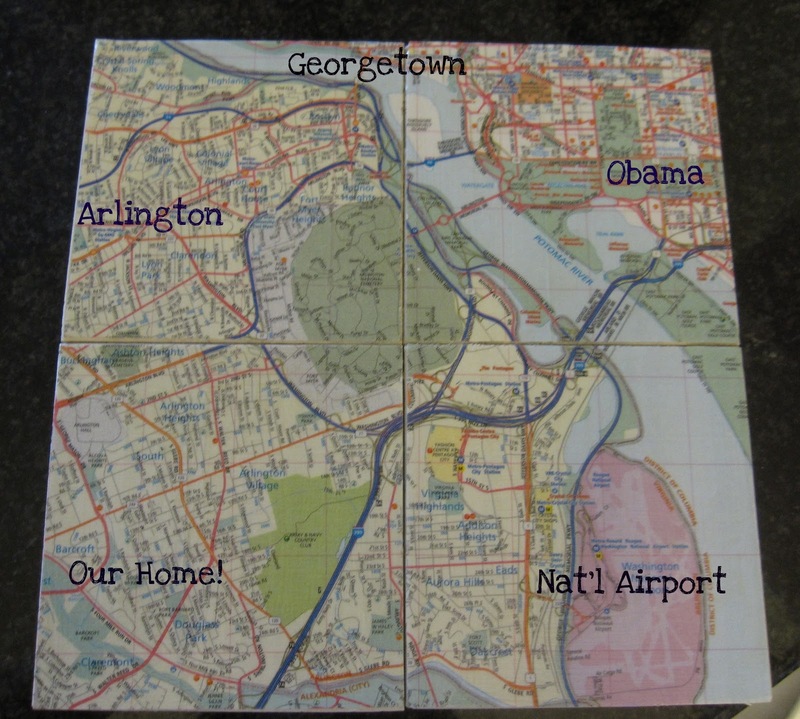 I am going to link to this post at the bottom...I love this!Great use of a map!! And so personal! Saw your link on Polly Want a Crafter! What an amazing idea. I love this. I love the photo with the wine as well. I am a brand new follower and I can't wait to continue reading your blog. wow! Great project, I love it, and can't wait to give it a try! 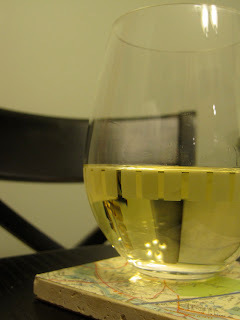 I'd love for you to link up to my wine/drinkrecipe/bar crafts linky party this week! Hope to see you there! oh, and I am a also your newest follower, love your stuff! I'm going to have to give this a try soon. I love the map and how they fit together, great idea! 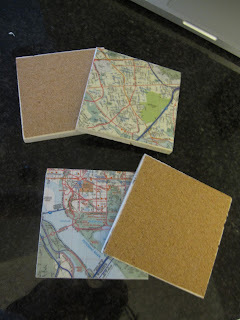 :) I made coasters last week and I can't wait to do more, the map is a fun/great idea! Very impressive! What a great idea! that is so cute, i love it, and a great way to have a souvenir of one's travels. I love using maps, this is such a great idea! I think you could upcycle those old cork bottom place mats and coaster that you see at garage sales with this idea, thanks for the inspiration! So simple & chic! Love it! Please consider sharing your creativity with my followers by linking to my K.I.S.S. blog bash on Sunday. I also have a great gathering spot for on-line specialty shops to link up! Happy to be a new follower! Love this idea! 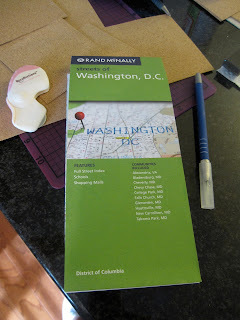 I used to live in Maryland and we would visit D.C. every summer, so these had a sentimental appeal to me too. :-) Thanks so much for linking up! LOVE LOVE LOVE these! Can't wait to try! I hope you'll link up to my Ten Buck Tuesday link party! I found this post via Crafty CPA and I ever glad I did! I don't use coasters as we ought because I can never seem to find ones I like. I own a collection of postcards from vacations to DC as a child as well as travel brochures/map from when we lived in Europe as well. Plus I have a plethora of tiles due to a bulk clearance sale at Lowe's (awesome rubbermaid tote filled w/ discontinued/broken tiles for $5!!). Can't wait to start on this project... might even make a larger one to use as a trivet. Soooo cool, MC! Post pics on our FB page so we can see them! I loooooove these!! Well done! Great project and well-documented. May I ask what exact kind of shiny spray sealant you used on top? Jennifer, thank you for your comment! The spray is an acrylic sealant in gloss finish. I think I got it at Michaels! Hope that helps. Absolutely love this idea. I made some for my boyfriend of all of our trips together. I am new to Mod Podge and only tried it once before. When I did try and put on a 2nd coat to my project, it seemed like the first coat would start to peel off. Was I not allowing enough time to dry between coats? I haven't done a second coat on my coasters because I don't want to ruin them. Since you're a mod podge guru, I thought I would ask you. They turned out just beautifully and I don't want to ruin them but think they could probably use more protection?! Thoughts? Thanks so much for a wonderful idea!!!! I would definitely let the coasters dry for an hour or two between coats! Also, make sure your modge podge isn't gooped on. And then use the sealant afterwards! These coasters look awesome! I will for sure have to give this a try.